If you’ve switched platforms and missing your Angry Birds fix, it doesn’t appear as if things are going to improve for this holiday season. Rovio has been very active on their Twitter account fielding questions about everything from Christmas Angry Birds to a version for Windows Phone 7. When asked if it was out of the question for this calendar year, their response was “never say never, but it’s highly unlikely“. That at least gives a bit of hope. Gosh, I’ll just have to live without Angry Birds……oh wait I HAVE XBOX LIVE!!! You can keep your “phone game” Rovio. I’ve played the game, and I did genuinely enjoy it very much. 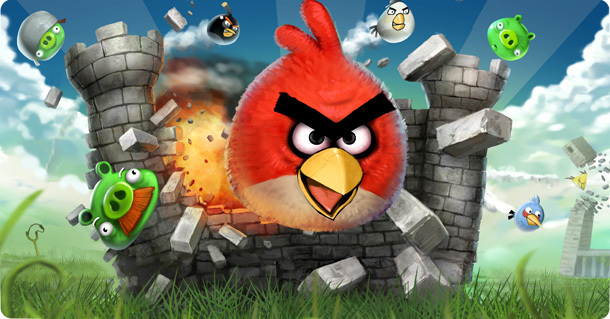 I must say, however, that my Windows Phone 7 device does not feel lacking because “Angry Birds” is not available. Seems like a missed opportunity on the part of Rovio, as opposed to a blemish against Microsoft. Redmond’s latest offering has set the bar at a new, much higher level for mobile OS. I cannot wait to see what the future holds, and for WP7 to be ported to tablet-type devices.